LOREAL TNA FULL VOLUME EXTRA MOUSSE 250ML – HAIRDEPOT - Hair & Scalp Care Products, Prevent Hair Loss, Shampoo, Conditioner, Treatment, Styling, Appliances and more! 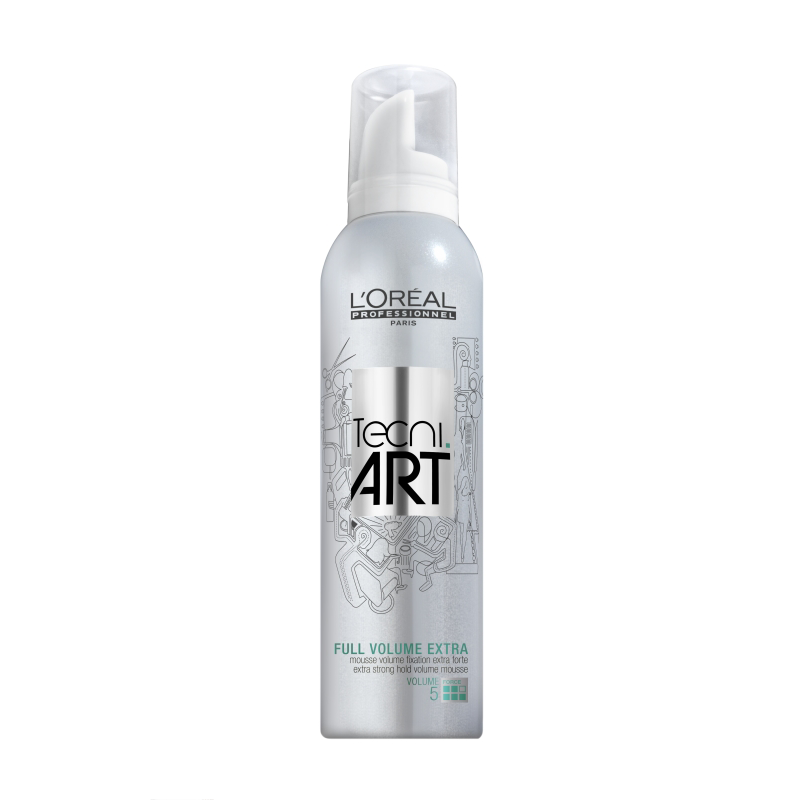 Perfect for giving you big and bouncy hair without weighing it down, the Tecni Art Full Volume Extra Mousse (250ml) by L'Oreal Professionnel is designed to be spread evenly through hair before blow drying. Offering strong hold as well as added volume, this mousse also works to add softness and mirror-like shine to your hair.